ARLINGTON, VA & SAN FRANCISCO, CA; April 5, 2017— PBS announced today it has acquired North American distribution rights for “Dolores,” which premiered at the Sundance Film Festival earlier this year in the US Documentary Competition category. 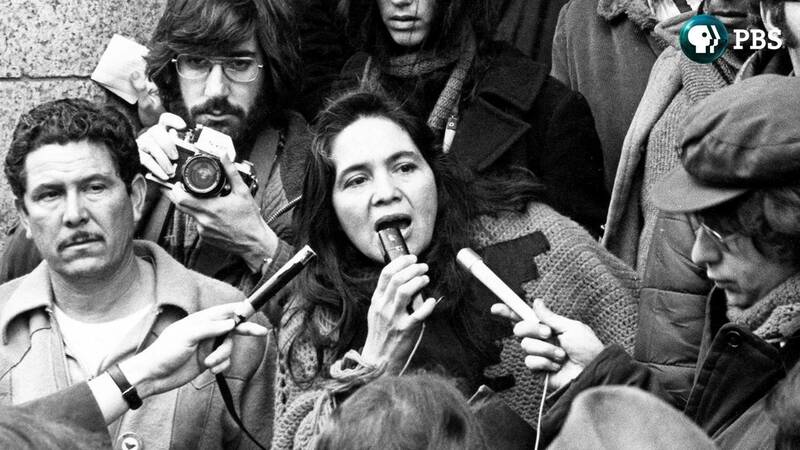 “Dolores” sheds light on an enigmatic, intensely private woman who is among the most important yet little-known workers’ rights activists in American history—Dolores Huerta. Through a partnership between PBS, PBS Distribution, PBS documentary series INDEPENDENT LENS, and Latino Public Broadcasting, the film will see a theatrical release this fall and will make its broadcast premiere on PBS in 2018. This is the first film acquisition since PBS and PBS Distribution announced plans to expand theatrical distribution efforts for independent film. PBS Distribution will release the film in theaters across the country later this year, following a robust festival tour. PBS Distribution will handle all home entertainment, digital, and Canadian rights and educational/non-theatrical in conjunction with Ro*Co Films. In addition, Latino Public Broadcasting (LPB) will support the acquisition and outreach effort to help bring “Dolores” to Latino communities and to classrooms. “Dolores” was written, produced and directed by Peter Bratt, produced by Brian Benson, and executive produced by Carlos Santana, Regina K. Scully, and Janet MacGillivray Wallace. Benjamin Bratt served as consulting producer. This is the second film for 5 Stick Films Inc, the Bratts’ production company with partner Alpita Patel. In the copious volumes written about Cesar Chavez and how he formed the first farm workers’ union in America, there’s little mention of Dolores Huerta, although she was his equal partner and co-founder of the union. With unprecedented access to Dolores and her children, the film reveals the raw, personal stories behind the public figure. It portrays a woman both heroic and flawed, working tirelessly for social change even as her 11 children longed to have her at home. “Dolores Huerta’s story shows us the power of individuals to create meaningful change. We are honored to be releasing this empowering film and bringing her story to a wide audience,” said Erin Owens, Head of Theatrical Distribution for PBS Distribution. The deal was negotiated by Lois Vossen and Emily Rothschild on behalf of PBS Distribution / INDEPENDENT LENS and Annie Roney of Ro*Co Films, on behalf of the filmmakers. Latino Public Broadcasting (LPB) is the leader in the development, production, acquisition and distribution of non-commercial educational and cultural media that is representative of Latino people, or addresses issues of particular interest to Latino Americans. These programs are produced for dissemination to public broadcasting stations and other public telecommunication entities. Latino Public Broadcasting provides a voice to the diverse Latino community throughout the United States and is funded by the Corporation for Public Broadcasting. LPB also partners with PBS Learning Media through the Latino Public Broadcasting Collection, which offers educator guides, lesson plans, and unique materials to engage students with the rich history of the Latino experience. Latino Public Broadcasting produces the series VOCES, PBS’ signature Latino arts and culture documentary showcase and the only ongoing national television series devoted to exploring and celebrating the rich diversity of the Latino cultural experience. Between 2009 and 2016, LPB programs have won over 85 awards, including the prestigious George Foster Peabody Award, as well as two Emmys, two Imagen Awards, and the Sundance Grand Jury Prize. In addition, LPB has been the recipient of the Norman Lear Legacy Award and the NCLR Alma Award for Special Achievement.